Alpha lipoic acid, or ALA, is a naturally occurring anti-oxidant that is created by your body and can also be found as a nutritional supplement for its potential benefits concerning diabetes, liver disease and brain function. Acetyl L-carnitine, also called L-carnitine or ALCAR, is a nutrient that helps your body convert fat into energy and is used to treat certain heart conditions, peripheral vascular disease, diabetic neuropathy, memory impairment, kidney disease, sexual dysfunctions, chronic fatigue syndrome and hyperthyroidism. Talk with your doctor or a healthcare professional before using ALA or ALCAR due to the potential of developing side effects. ALA is generally considered safe, however, some precautions should be taken while using this supplement, according to the University of Maryland Medical Center. 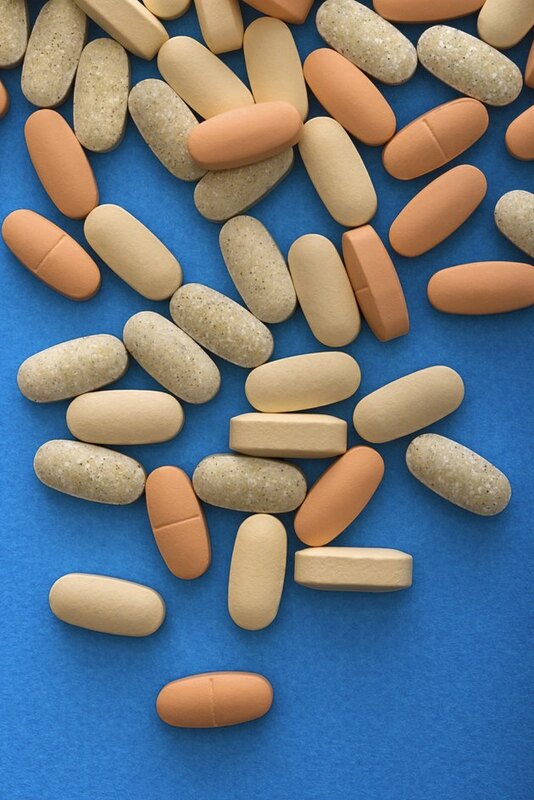 Side effects of ALA supplementation are generally mild and include a skin rash. ALA may also lower blood sugar levels, which may increase the risk of developing hypoglycemia in diabetics and people suffering from low blood sugar. ALA should also not be taken if you are currently suffering from, or are being treated for, a thiamine deficiency. ALA is naturally synthesized in your body, therefore, no daily recommended doses have been established; however, the University of Maryland Medical Center states that ALA supplementation for general anti-oxidant support should typically range from 20 to 50 mg per day in adults. Diabetics and people with diabetic neuropathy may be required to take up to 800 mg per day; however, this should only be done under the supervision of a physician due to ALA's ability to reduce blood sugar levels. ALCAR has a low toxicity, making side effects mild and rare, according to the Linus Pauling Institute. High doses of ALCAR may cause some gastrointestinal symptoms, which include vomiting, abdominal cramps, diarrhea and nausea. Some users report high doses of ALCAR causing a fishy body odor. Individuals suffering from kidney disease should not take ALCAR due to an increased risk of developing muscle weakness. The Linus Pauling Institute recommends taking ALCAR supplements in the range of 500 to 1,000 mg daily although oral L-carnitine supplements may contain as much as 2,000 mg per dose. Varying doses of L-carnitine may be required for the treatment of specific conditions and should be given under the supervision of a physician. For example, individuals who have suffered a heart attack may benefit from 4 g of ALCAR daily, while 2 to 4 g of ALCAR per day can significantly improve exercise performance in individuals with angina. Regardless of your condition, it is always advisable to follow your physicians recommendations regarding ALCAR supplementation.